Chinese smartphone brand, Xiaomi has announced yet another milestone it achieved in the Indian brand. 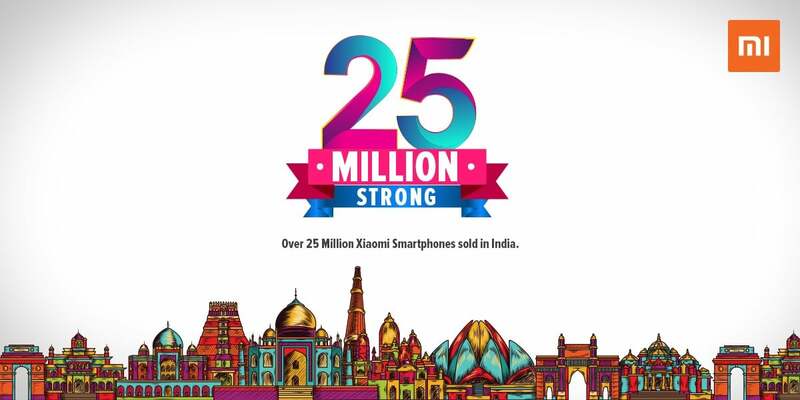 Xiaomi India’s Managing director, Manu Kumar Jain today revealed that the brand has sold 25 million smartphones since its entry into the Indian market in 2014. This translates to a whopping 22,000 smartphones sold every day in the last three years and one month. Xiaomi is having a dream run in the Indian market. We have been saying this line whenever we write an article on Xiaomi- ‘No brand understands Indian consumers better than Xiaomi.’ The Apple of China offers products at cutthroat prices, which is the major reason behind its success in the Indian market. So far this year, Xiaomi had a dream run in 2017 with all its smartphones selling in millions. 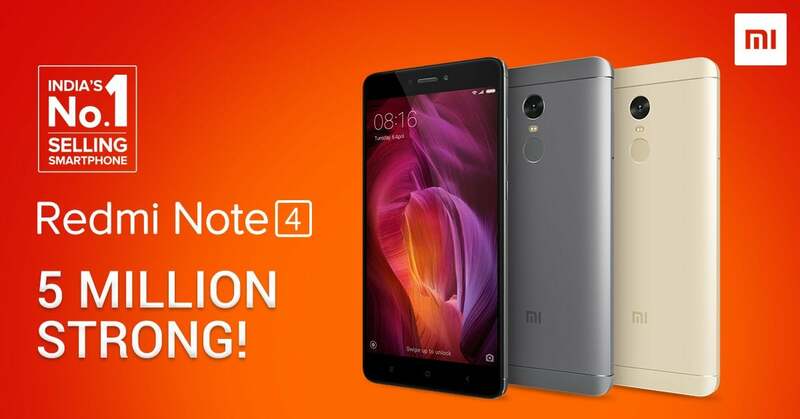 Xiaomi first launched the Redmi Note 4 in India in January 2017 and recently said that they have sold over five million smartphones. Incidentally, the Redmi Note 4 is also the country’s top selling smartphone in Q2 2017. Later on, Xiaomi announced the Redmi 4A smartphone in India, which again sold in a big number. And in May 2017, the company released the Redmi 4, the successor to the Redmi 3s. The Xiaomi Redmi 4 is the second most selling smartphones in Q2 2017. This year itself, Xiaomi sold close to 10 million smartphones, and the brand will be unveiling its first dual camera smartphone for the Indian market. A Xiaomi smartphone can be seen in every house, which isn’t a surprising thing at all. Furthermore, Xiaomi is on its way to becoming India’s No 1 smartphone brand in terms of market share. Samsung has been the Indian smartphone market leader for more than seven years now, but a recent report revealed that the market share bridge between Xiaomi and Samsung has come down to a mere 3%, which Xiaomi is expected to take down in this quarter. Over the course of three years, Xiaomi has impressed the Indian consumers in a single way- by keeping the prices lower than its competitors. Surprisingly, the smartphones offer excellent value for money, unlike other brand smartphones, which don’t justify the asking price. They are doing fake flash sale without stock. Making Indians fool. How did they sell 10 million units then? By the way, the correct term is fooling the Indians, not “making fool”.